Wade & Lauren Cashion are the owners of Callback Retrievers. The goal with our breeding program is to produce dogs that will be excellent family and field companions. The Cashion family has been working with hunting dogs in Texas since the 1800’s. Hunting and hunting dogs have been part of the Cashion family tradition for the last 5 generations. Wade Cashion is the head trainer at Texas Duck Dogs and has over 18 years experience training hunting retrievers. From the time Wade could walk he was with his dad and granddad at the fox hound kennel, on weekend hunting competitions, and to many field trails. He grew up riding on the tail gate, telling stories around the hunting camp fire, and chasing dogs through the woods. At the age of 16 a dramatic event occurred in Wade’s life, one that changed his future forever. Wade went on his first duck hunt!! For his 18th birthday his dad bought him his first Labrador Retriever. 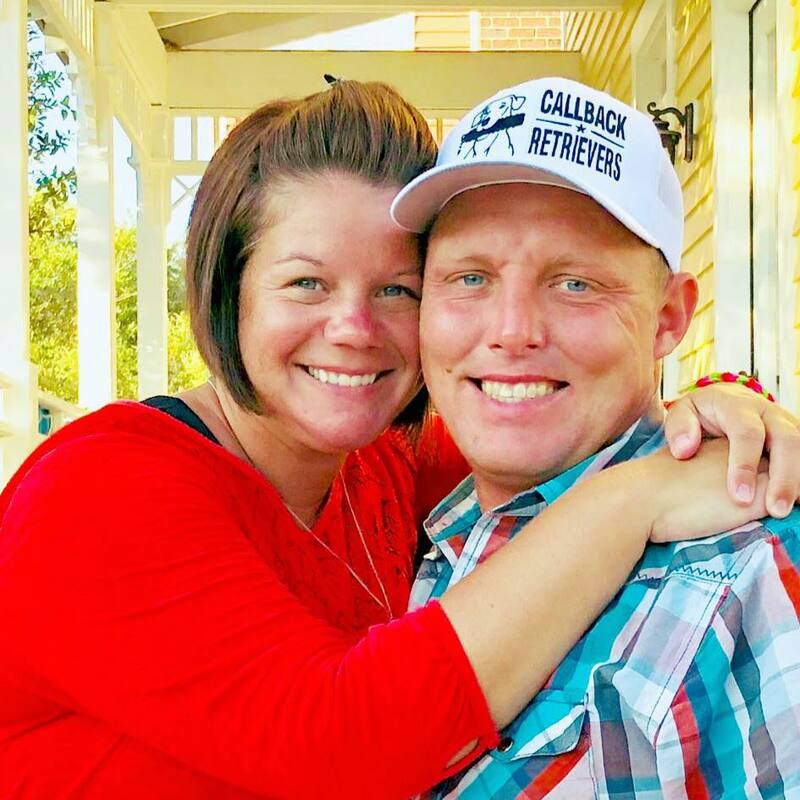 It took a few months of reading, watching videos, and asking questions, but by the time duck season rolled around, Wade’s lab Sandy was ready to hunt. Wade has always been the type to include his friends on his hunting adventures. After they watched Sandy working in the field, they started asking Wade to train their dogs too. 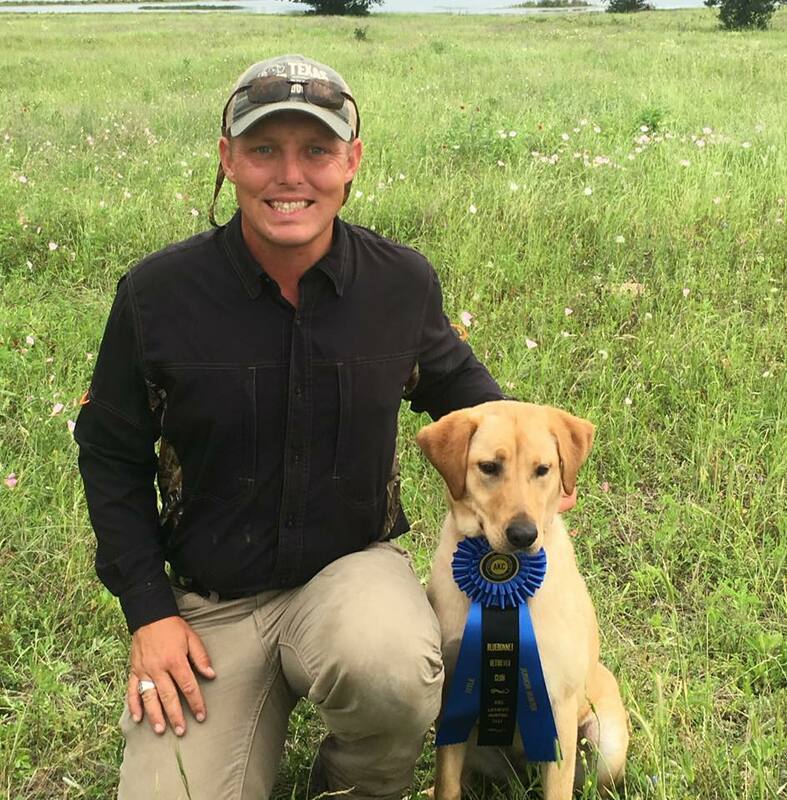 Wade took in his first dog training client at the age of 18. He used this skill to supplement his income all though college. Over the years his skill and ability has grown. In 2012 he began competing in AKC Hunt Tests. Since those early days of training Sandy his passion for training retrievers has grown. Texas Duck Dogs was born out of that passion!